He oversaw the product strategy and development initiatives for the ITIL, PRINCE2, and the rest of the PPM portfolio. The founder and CEO of BiTA Service Management in which he has worked for the last 14 years. Member of the Board of Directors of Slovenská sporiteľňa, responsible for IT and bank operations. itSMF Slovensko, a leader in the world of IT Service Management, is organizing again a terrific learning and networking “trans4mation” conference. 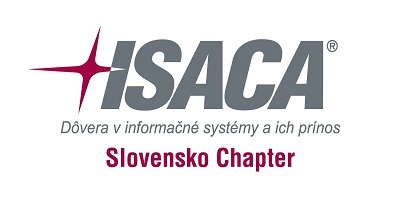 The 13th annual conference of itSMF Slovensko in cooperation with Slovenska Sporitelna, a.s., will take place in Bratislava in March 21st, 2019. This year’s program will offer keynotes, breakout sessions, workshops, and interesting conference panel discussion dedicated to today’s most pressing trends in the IT service management industry. The conference is intended primarily for service managers and professionals working in this field. It does not matter whether you are a supplier or a client, because apparently you are usually on both sides in providing and managing agreed services. Although most of the concepts are based on IT services management principles, these concepts are relevant and usable in various areas of business services. ITSM Professionals can collaborate with their peers and counterparts across various sectors and learn how to establish service management goals specific to their organizations’ needs. The trans4mation conference program is dedicated to the latest trends and hot topics that are driving service management forward. We want to encourage a new generation of IT and business professionals to come forward, who are as passionate about IT Service management, best practices, improvement, knowledge sharing, so apply to join us now. You will have access to the tools, information, and contacts that are specially reserved for members. If you’re interested or involved in IT service management, you need to be an ITSMF Slovensko member! Register now and get immediate benefits. What people are saying about our conference. I think every IT manager should attend conference like this. Register to itSMF Slovakia Conference now! Do not miss the best CEE service management conference. Meet with world class speakers and get some inspiration how to improve your organizational management.